Your Prescription Explained - M.D.O. Services (Gozo) Ltd. Your eyes are an amazing organ. That’s why we care so much about protecting them and you make sure they are in great health by making regular trips to Eye Emporium for our check-ups. Each prescription is broken down into two rows, one prescription for your right eye and another for your left eye. The first column on your prescription table is ‘Sphere’. This value indicates the power of the lens (measured in dioptres) and can be either a positive or negative value. Generally people usually suffer from either short shortsighted (myopia) or long-sighted (hypermetropia). When someone is short sighted, they struggle to see objects that are further away and someone who is long-sighted struggles to see objects that are closer. But how does this relate to your prescription? A negative value in the ‘Sphere’ column indicates that the lens will be able to make objects close to you clearer. Because of this, a negative value in the sphere column indicates that you are long sighted in that particular eye. Similarly, a positive value indicates that you are short sighted as it allows objects that are further away to be clearer. The second column in your prescription is called ‘Cylinder’. This part of the lens is responsible for astigmatism correction. Astigmatism is a very common eye condition where the shape of the eye becomes slightly oval rather than a perfect sphere. As a result, vision becomes blurred due to the cornea (the thin film that covers the pupil) being distorted in shape. 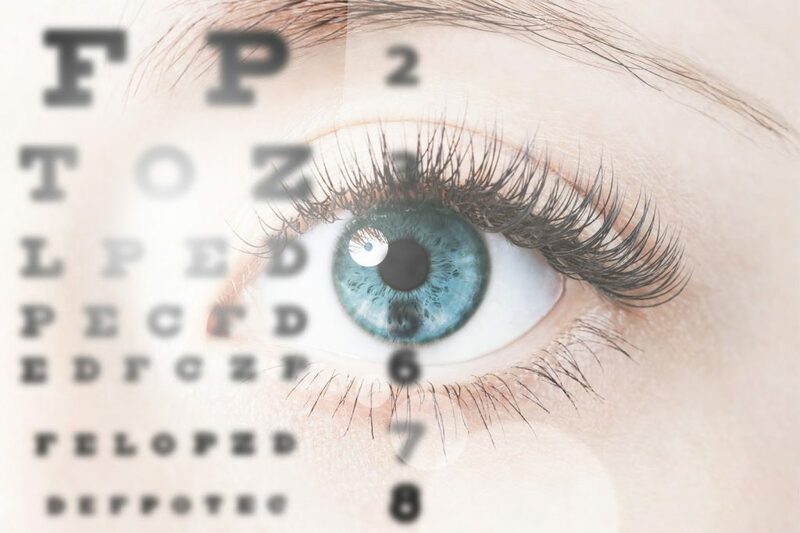 No number in this section means that your eyes are perfectly spherical or your astigmatism is so slight that it doesn’t require correction from glasses. A number present indicates that your eye is more oval in shape, where 3-4 will indicate your eyes are very oval. In addition to this scale, this value can also be negative or positive. A minus sign is for the correction of near sighted astigmatism whilst a positive sign refers to the correction of farsighted astigmatism. The next column in your prescription table is ‘Axis’. This indicates what angle within the frame the lenses need to be positioned. This is a useful tool for our clever lab technicians and has no relation to the strength of your eyes. ‘Prism’ is a particularly unique section of the prescription form. It is only required for individuals whose eyes don’t work well as a pair. Because of this, a prism feature is added to the lenses to help refract light at the correct angles to correct this. This is only prescribed in a small number if glasses and will be identified by your optician during your eye test. Usually prescriptions are written with an additional column used for any increases in lens strength needed for reading. These are split into ‘Near Add’ and ‘Intermediate Add’. ‘Near Add’ is required to increase the lens power for close reading whilst (e.g. reading books), whereas ‘Intermediate Add’ is required for a more a medium range of increased lens power, such as when using a computer. This is especially important for very-focal lenses. Any strengths between +1.0 and +3.0 is typical. These numbers are then added to the remaining columns to give values for the intermediate and near tables below your overall prescription. Not everyone will require an ‘Add’ feature however so don’t be alarmed if your boxes are left blank. These are all the main features of your prescription. We feel that it is important that you understand your prescription to gain a better understanding of how our wonderful eyes work. Also, we pride ourselves greatly on being very open with our patients so we want to make sure you know as much as possible about the treatment you receive with us. And because of that we can keep those amazing eyes working perfectly. To book yourself an eye examination and view the latest on trend frames available call us on 21556528 (Gozo), 21494848 (Birkirkara) or simply visit at your nearest Mario Dispensing Opticians.